I promised an edit of my favourite eyeshadow brushes here on the blog a while ago but for some reason it was a post that I kept putting off. I think I felt I should wait until I had all the brushes I wanted but then I realised that I'm actually quite happy with the ones I've got. You'll probably be quite surprised to see that this edit does not feature a MAC 217! I know, shocker! I just never got round to getting it as I have a few quite similar brushes that work well for me. That said, I'm sure I'll end up picking it up at some point! Anyway, here are my favourites and what I use them for! This brush is great for precision application. I use it mainly for an inner corner highlight or to apply shadow under the lash line for when I want a bit of subtle definition. This brush has had a makeover since I got my hands on it but the newer version is essentially the same brush with a nicer handle. It's the biggest eye brush I have and I think it's great at blending and softening out edges. I never actually ever put any eyeshadow on it! I just use it clean to make sure there are no harsh lines and everything looks well blended out. This flat number is great for packing on colour, particularly high shimmer shadows, pigments and even cream shadows. A recent purchase that is very quickly becoming my favourite and most used. It's just so easy to use, works with so many different eye shapes and makes eyeshadow application unbelievably quick. In my opinion this is a seriously underrated brush! I use it to apply shadow all over the lid and the outer corner, it hugs the eye contour really well and does all the work for you. I don't use this one quite as often as the others but I love it all the same. It's great for applying lots of shadow under the lower lash line for a grungy, smoky look or for getting really precise definition in the crease. Both looks I love but don't wear that often. I love sephora makeup brushes, I think they're great quality for their price range. This one is a great all rounder, at a push I can do my entire eye make up with just this, for that reason it's usually the one that makes the cut when I'm travelling. It's similar to the MAC 217 but a bit bigger and fluffier, the hairs aren't as tightly packed. I use it to apply shadow to the lid, in the crease, blend out and to add a brow bone highlight. As I said, it does a bit of everything. Another great does-a-bit-of-everything brush. Similar to the sephora one but smaller and more densely packed. I tend to use this one if I want to build up more pigment and it's probably my favourite for blending shadow into the crease or for creating a smoky eye. 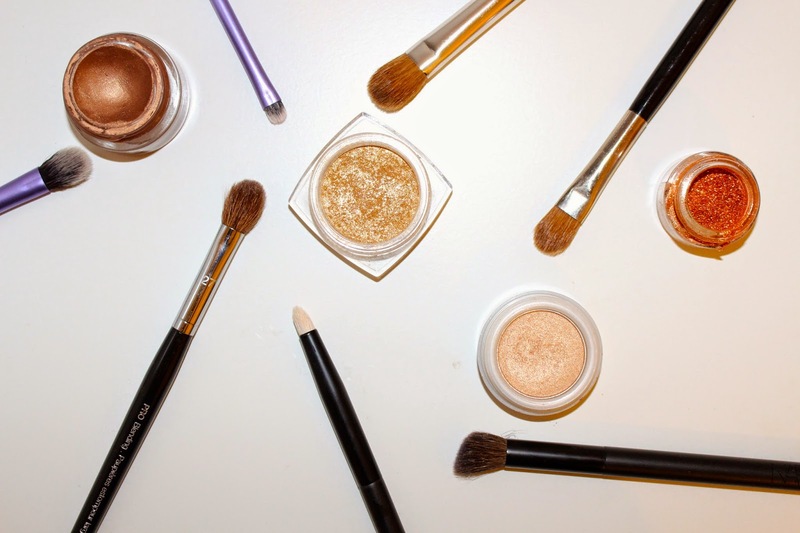 With these brushes I pretty much have all my eyeshadow needs covered, I hope this post was useful to you if you're on the hunt for some new brushes. What is your favourite eyeshadow brush? i love real techniques brushes they are so easy to clean, but i definitely have my eye on the Kiko 207 blending brush! They're amazing! You should definitely try them out! Thank you! I'm the same! You should try it out, it's great!